Watch out for banana skins! 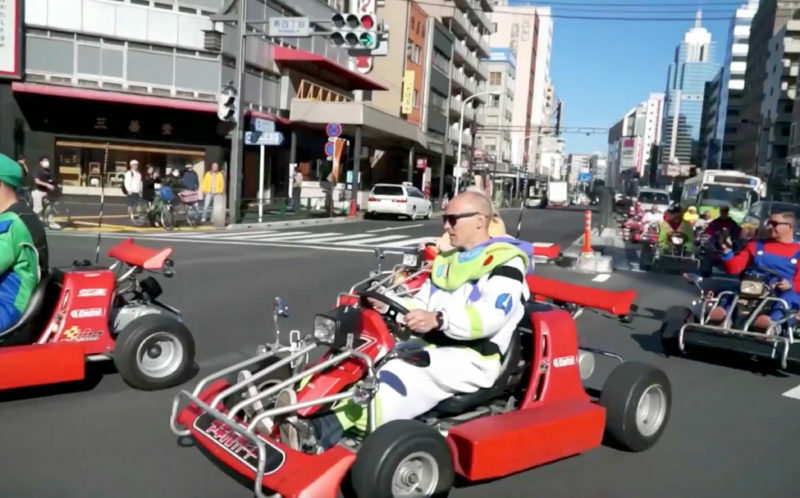 This is the moment a Real-life Mario Kartrace took to the streets in Japan. 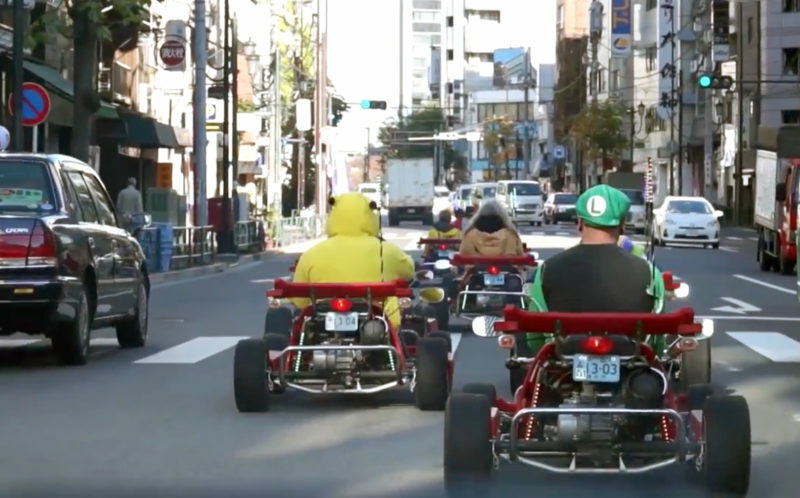 Dressed in Mario, Luigi and Princess Peach costumes and armed with Mario Kart ‘weapons’, fans of the Nintendo video game rev their engines as they prepare to race along the busy streets of Tokyo. 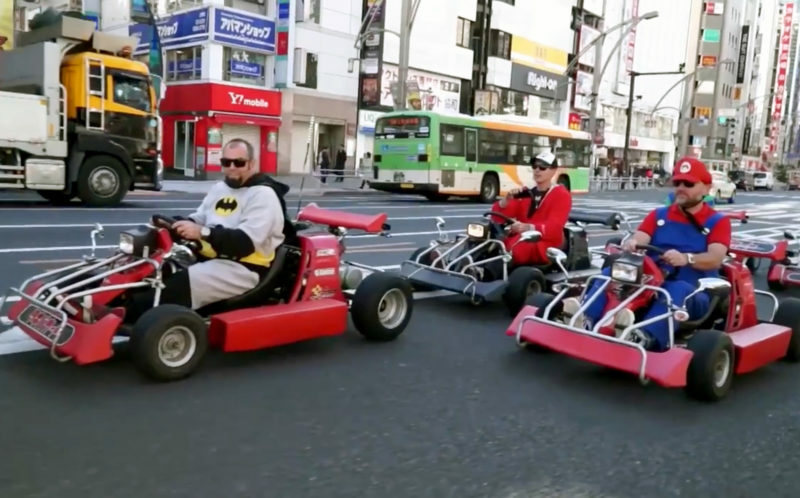 While riding go-carts alongside other vehicles is illegal in many countries, in Japan go-carts are classed as miniature cars and can be driven on public roads with a standard license. Drivers are not even required to wear a seatbelt or a helmet, making it easy for fans of the cult video game to participate in the race. The race was created by company Go-Kart company, Akiba Cart after the shop’s owner, Daisaku Koyama, was inspired by the French prankster, Remi Gaillard, who made a video depicting Mario Cart on real roads. 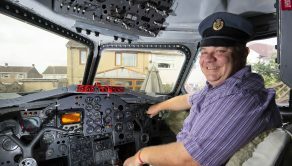 Daisaku said he wanted to start a safe service where you can ride unusual vehicle. The Real-life Mario Cart race has now become a regular event, attracting Mario Kart fans and tourists from all around the world.